Vietnam News – The upcoming free trade agreement between Việt Nam and the European Union (EVFTA) will open new opportunities for Viet Nam to access modern technologies and learn management skills, Deputy Industry and Trade Minister Trần Quốc Khánh said at a conference in Ha Noi on 20 December 2016. The conference, organised by the Ministry and Industry and Trade and the European Trade Policy and Investment Support Project (EU-MUTRAP), was aimed at providing information on industrial sectors which have potential for investors, as well as the expected investment trends of European businesses once the EVFTA takes effect. “The EU is one of Viet Nam’s most important trade partners, and will be more so once the EVFTA, scheduled to be signed in 2017, takes effect in 2018,” Khánh said. “EVFTA is expected to create a momentum to promote investment and trade between the two parties,” Khánh said. 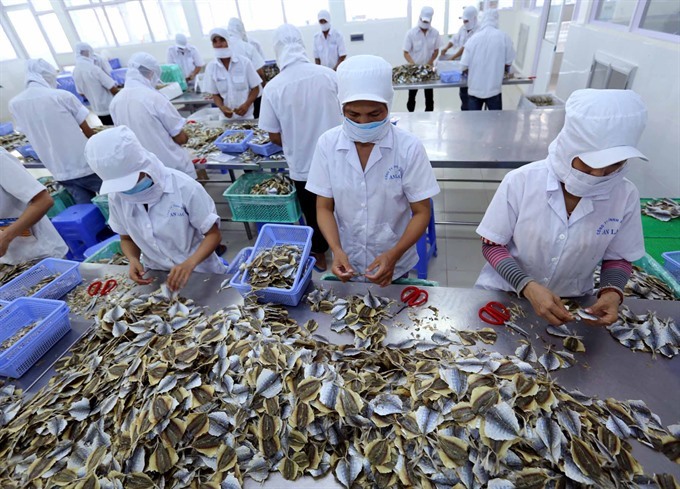 Accordingly, the total import–export turnover between Việt Nam and the EU is expected to increase by around 50 per cent in the first years after the agreement takes effects. Nearly 40 per cent of European firms in Việt Nam plan to increase their investment in the upcoming years. He said the agreement ensures benefits for both Việt Nam and EU. The pact facilitates trade, services and investment, as well as new approaches to protectionism and investment disputes. The agreement is considered the top commitment which Việt Nam has reached in FTAs so far. “With its high quality, EVFTA is expected to be an important momentum for trade promotion between Việt Nam and the EU, especially for key Vietnamese products, such as garment and textile, shoes, agricultural products and for European goods suh as equipment, auto and alcohol.